Answer: This is what ERC grantee Manuel Franco will find out! 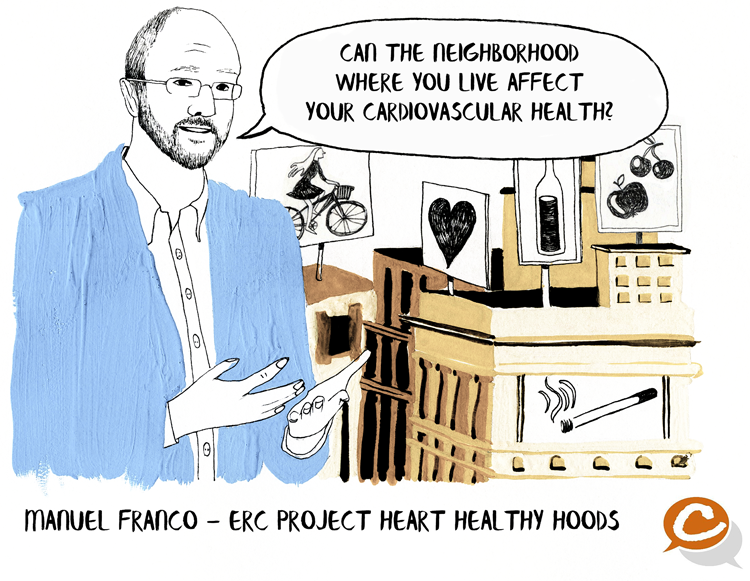 His Heart Healthy Hoods team is measuring the food, physical activity, alcohol and tobacco environments of hundreds of neighbourhoods in Madrid, a city with similar historical and demographic profile as many other European cities. They will correlate these urban environment results with cardiovascular primary care health records of 1,5 million adults living in Madrid and a cohort of over 2500 participants.